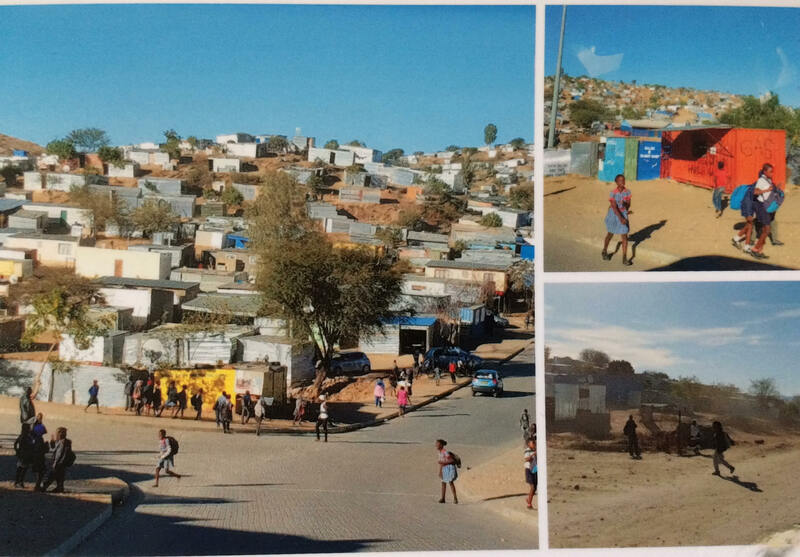 Thank you so much to Sarah for these views from her recent trip to Katutura, an area of Windhoek, the capital city of Namibia. Previously known as South West Africa, Namibia gained independance from South Africa in 1990. The struggle for independance took 24 years and cost many lives; you can read more about the historial background here. Katutura was set up as a township in the late 1950s to early 1960s, by the then ruling South African authorities. At that time South African apartheid laws extended into South West Africa/Namibia and the term “township” meant an urban area designated for black people to live in. Katutura was established as a place to home the black population of another location in the city called Old Location who were being forcibly moved by the authorities. Sarah describes Katutura as “such a buzzing place with very welcoming residents”. People there work hard, some in the informal economy and others in formal jobs. A tour of Katutura is even offered by official Namibian tourist organisations. In 2015 the HDI (human development index) for the whole country was 0.640. HIV infection and AIDS remain a massive public health issue in the country, which still has one of the highest infection rates. You read more about that, and what is being done to help here. Geography Cat would definitely like to see Namibia some day.